OptiBac Probiotics For Babies and Children contains high quality, well-researched live cultures. This natural supplement contains L. acidophilus, with Bifidobacterium infantis & bifidum (the dominant cultures in healthy infants & kids). 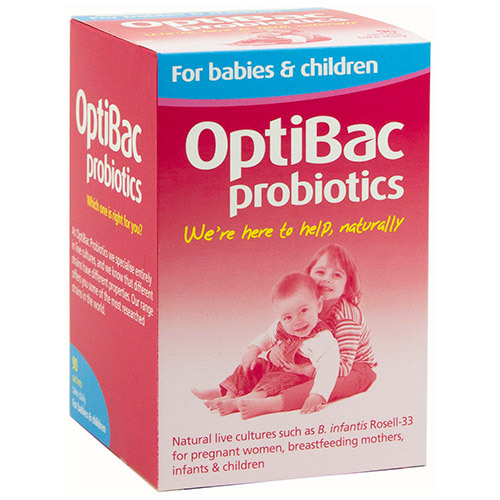 From birth onwards, `For babies & children` (For your child`s health) from OptiBac Probiotics can be given as a natural supplement. Having an imbalance of good and bad bacteria in the gut is thought to cause issues in digestion and immunity for infants and children. 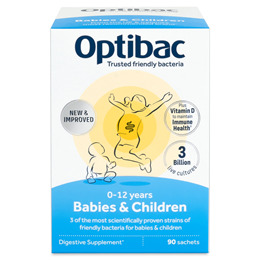 OptiBac Probiotics `For babies & children` is a natural supplement, and is completely free from sugars, artificial flavours & colourings which can be found in other children`s supplements containing live cultures. Each sachet provides 3 billion live cultures + 0.75g FOS fibres. Fructooligosaccharides (FOS); stabiliser: potato starch; Live cultures (Lactobacillus acidophilus Rosell-52, Bifidobacterium infantis Rosell-33, Bifidobacterium bifidum Rosell-71). 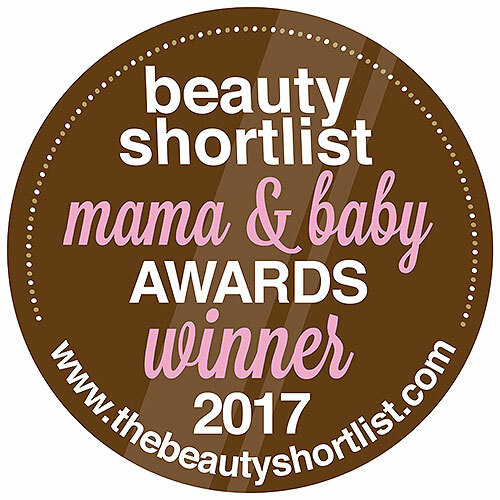 Below are reviews of OptiBac Probiotics Babies and Children - 90 Sachets by bodykind customers. If you have tried this product we'd love to hear what you think so please leave a review. OptiBac Probiotics For Babies and Children contains high quality, well-researched live cultures. This natural supplement contains L. acidophilus, with Bifidobacterium infantis & bifidum - the dominant cultures in healthy infants & kids.